THE DISCOVERY arrives on Netflix March 31. Read our 2014 interview with McDowell and Lader here. 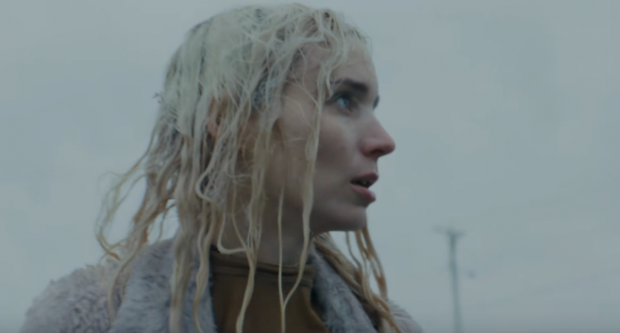 AFI: Tell us about your new film starring Jason Segel and Rooney Mara, THE DISCOVERY, the follow-up to your previous film THE ONE I LOVE. CM: With Justin Lader, who’s my writing partner, we started with a sort of big universal question: “What if the afterlife was scientifically proven and what would that mean for the world?” How would people react in today’s society or in a heightened society in the near future? We came back to the universal question, which is “Where do we go when we die?” We’re programmed at a young age to think about it, even in cartoons, when a character dies, the character floats to heaven or hell, and these ideas are obviously in religion. These interest everyone from the beginning of time. For us, it’s really interesting to propose a question of “What if it was guaranteed we went somewhere, and we knew if we went somewhere?” That was the first basic question and then we came up with this idea shortly after, well, “Is death ‘death’ anymore because you’re continuing your life somewhere else? Are suicide and murder the same thing as we know them to be?” That’s how we started and we used that as the backdrop to this world that we’re exploring but, really, it’s about our main characters in this world, and it becomes mostly focused on a love story between a man and a woman and a father story as well. 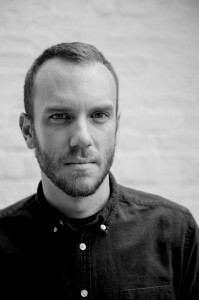 AFI: Talk about your writing process with Justin Lader. Did you guys meet at AFI? He wrote THE ONE I LOVE. CM: He [graduated] two years after me, but I had a best friend in the Producing program and basically I was looking to team up with a writer for a movie idea, and he said that Justin was such a talented writer. He put us in contact, and I read a script that Justin had written his second year and really loved it, and we ended up developing that script for a couple years and tried to make it. We had a cast and financing and then the financing fell through and that’s what got us to jump into making THE ONE I LOVE for very little money. What brought us together was this other script called “Fighting Jacob” that Justin had written his second year. AFI: Can you talk about your collaboration with Netflix, and at what point they stepped in to acquire and distribute THE DISCOVERY? CM: Netflix had really been interested in the idea and loved the script early on, and we had been in talks with them, and they really liked how the cast ended up shaping up so, while we were filming our first week, they called and said they want to acquire this as a worldwide film and have it be a Netflix Original. It’s such an interesting time in independent film, and there are pros and cons to this new digital era and the way we do movies. I really am mixed about it because I am a traditional thinker in that I make a film with the idea that it’s going to be seen on a big screen, but with this film in particular, to me the partnership really made sense because I wanted this to be something that a lot of people could see. If you release traditionally in the theater with an independent distributor, it will go to 50 cities and very few people will see it, so the idea that 90 million users in 160 countries felt right for the film. We wanted it to be this global idea … because I think people will view it differently depending on your makeup and who you are as a person. It’s definitely a movie I hope people will watch more than once. It’s a movie that, if you see it a second time, it’s a very different viewing, and you pick up on a lot of different things and maybe your view changes. It’s meditative in that way, and it felt like with Netflix, you could watch the film, then you could watch it again two minutes later or you could wait a week and then you can tell your friends about it. The idea that people could view the film that way was exciting. AFI: You’ve had great success at Sundance with THE ONE I LOVE and now THE DISCOVERY. The festival is typically a great launching pad for American indies looking to break out. How was your experience different this time around? CM: It was a very different experience this time compared to THE ONE I LOVE. No one knew what that film was. It very under the radar, it premiered on a Tuesday night, after the first weekend. And THE DISCOVERY premiered at the Eccles on a Friday night, opening weekend, and we had Redford in the film. People knew about our film, and there was an expectation for it. Again, there are pros and cons to all of that. People were excited to see the movie and it was sold out. To play the Eccles was such an honor but also there was something I liked about THE ONE I LOVE, having no expectations and letting the movie be its own thing. We had a really strong audience reaction, almost everyone stayed for the Q&As. Everyone wanted to bring their own ideas to the film, which is the reason we made it. AFI: You took an improvisatory approach to writing THE ONE I LOVE. How about with THE DISCOVERY? CM: Justin and I developed THE ONE I LOVE together and because it was such a quick situation, Justin was scripting pages throughout the process of filming. While I was focused on shooting he was scripting pages for the next day. It’s an odd way to make a film, but we had worked off of this 50-page outline that had every scene detailed but there was no dialogue. It wasn’t a traditional script in terms of dialogue. With THE ONE I LOVE, all the twists and turns weren’t improvised. We had a very clear understanding of the story and how it unfolded. We were loose with the dialogue. But with THE DISCOVERY, because it was done in a more traditional way and we actually had more days to do it, we always wanted it to be something that had less improv, where we could focus on the page at the beginning, and then let the actors play loose with the dialogue because we’re not so crazy about saying words exactly as they’re written. We like a naturalistic feel. AFI: You’ve also directed an episode of Netflix original series DEAR WHITE PEOPLE, based on the film by Justin Simien. What can we expect to see? CM: Each episode is through a different point of view and the directors bring their own vision to it. Obviously, there’s the umbrella of the show you have to stay in, but [Justin] wanted to give free range to the directors to play and do their own thing. I thought that was such an interesting way to come onto an existing show and do my own thing as well. Especially with the state of our country right now, he’s exploring some really interesting ideas, even more so than when his film came out [in 2014]. It’s even more relevant now. Charlie McDowell and Justin Lader the co-writer have created a marvelous story. Charlie’s direction style is very relaxed and descriptive and I feel he gets exactly what he wants from the cast without take after take after take. I was really blessed to be able to work with everyone mentioned above. I play Pat Phillips the guy hooked up to the device in the teaser/trailer.